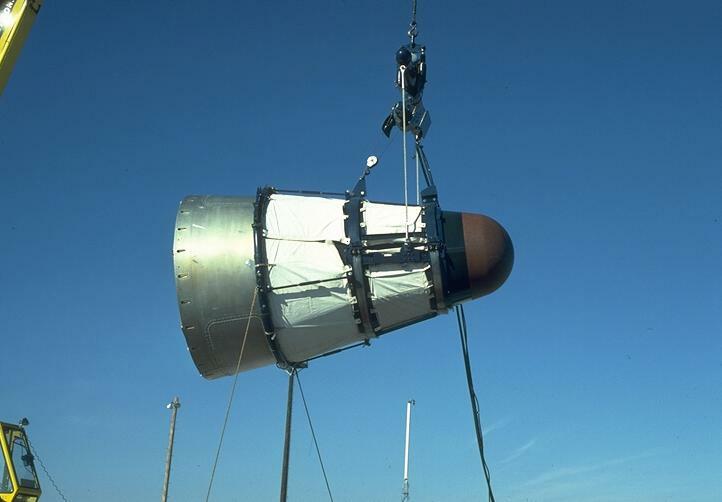 Maintenance was one of the key factors in assuring that the Titan II fulfilled its mission and measures up to its capabilities. 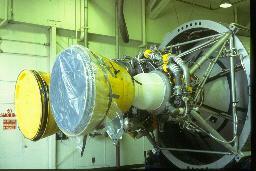 Most major missile maintenance was performed at the squadron maintenance area (SMA). Each operational squadron had nine launch complexes. The squadron was responsible for maintaining operational missiles capable of being launched on a moment's notice. The launch complexes were underground, hardened installations, which provide facilities for maintaining the Titan II missiles in an alert condition. 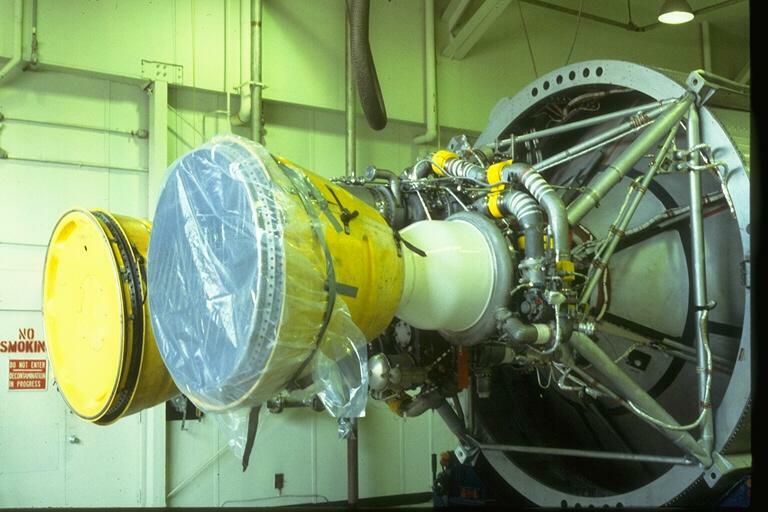 If the launch crew encountered malfunctions during checkout and/or alert conditions that were beyond its capability, it requested assistance from the maintenance personnel at the SMA missile inspection and maintenance shops. The MIMS provided maintenance support to the operational squadrons. They were the major facilities at the maintenance squadron. The MIMS and decontamination facility were normally in the same building but were sufficiently separated so that access to the decontamination facility can be closely regulated. 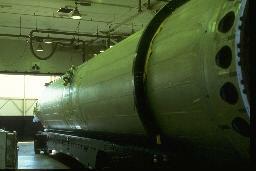 From the factory the missile was received at the MIMS area, where it was inspected, assembled, and checked out before it was transported to the complex. The missile was also received at the MIMS area for periodic recycle, or for maintenance that cannot be performed at the complex. Maintenance ground equipment was maintained and normally stored at the MIMS area. 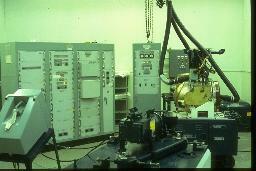 This equipment was used to restore a missile or an end item to an operating condition. The equipment may be used on either a scheduled or unscheduled basis. The munitions area was adjacent to the MIMS area. It was surrounded by a security fence with a guardhouse at the only entrance. The area included the surveillance and inspection (S and I) building, a reinforced concrete structure housing, an operations bay adjacent to the office facilities and shop areas. 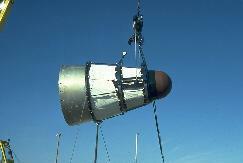 The operations bay was the assembly, disassembly, checkout, and field-level repair area for the reentry vehicle (R/V). The area next to the operations bay includes offices for supervisory and security staffs, latrines and locker facilities, the shop area for bench maintenance, and a utility room for ventilators, heaters, and utilities. A reinforced concrete wall and steel blast doors separate the operations bay area from other areas. In addition, the reentry vehicle storage magazines, the limited storage magazine, the segregated storage magazine, and class F explosive storage magazine were located within the munitions area. These buildings were used for inspection and storage of all Titan II ordnance items. The checkout of explosive components was performed in the munitions area. Special weapon specialists checked out and maintained the reentry vehicle and ordnance items. All of the SMA activities support the 18 basic launch complexes in each missile wing. Please ask permission to use content including pictures and graphics.